Oddbods is a Singaporean-British CGI-animated comedy television series produced by the Singapore-based studio One Animation.The series centers on seven non-speaking characters—Fuse, Newt, Pogo, Bubbles, Jeff, Zee and Slick.The series has won awards, including the Asian Television Awards, Apollo Awards, Gold Panda Awards and Web TV Asia Awards. 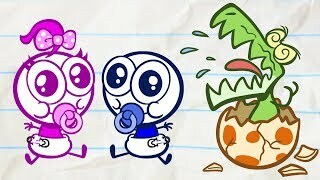 In 2017, it was nominated for an international Kids Emmy Award. The Oddbods Return with The Oddbods Show! Featuring the Oddbods! 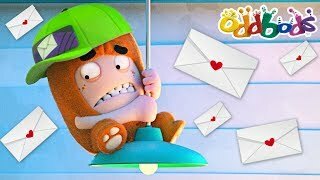 The Oddbods Show Full Episode New Compilation Part 5 The main characters in the film: Newt Sweet and adorable, Newt is the youngest of the Oddbods by a whopping 3 days! Jeff Obsessively compulsive and unashamedly meticulous, Jeff loves order and discipline in all that he does. Zee Zee refers to himself as easy going and care-free. Others refer him to him as a lazy disgusting slob. Pogo A prankster. A trouble makers. An occasional pain-in-the-neck. Call him what you like, Pogo doesn’t care. Slick Coolness personified - Slick is the ultimate hipster. Standing still is not an option when you have rhythm in spades. Fuse Underneath that bright furry suit is a true alpha male, despite his short demeanor he possesses incredible strength! Bubbles Full of joy and happiness - Bubbles is the living embodiment of the phrase “ray of sunshine”. 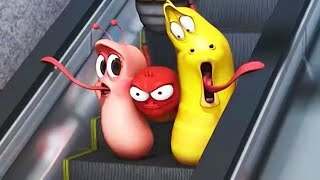 Oddbods Cartoon Full Episode 2017 ❤ Oddbods English Compilation Episodes For Children. 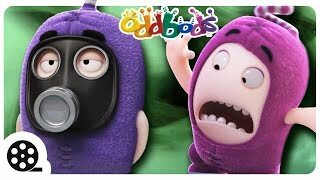 Oddbods is an award winning computer-generated, animated comedy television show, produced by the Singapore-based studio One Animation.It features seven non-speaking characters: Fuse, Newt, Pogo, Bubbles, Jeff, Zee and Slick. It has won awards, including the Asian Television Awards, Apollo Awards, Gold Panda Awards and Web TV Asia Awards. Slick is looking so cute as a Delivery Boy but something is stopping him, watch this funny video to figure out how Slick gets his Job done! 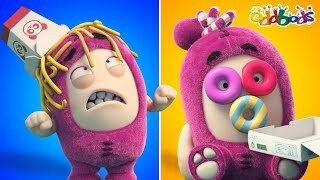 ►More Funny Oddbods Episodes For Kids: https://bit.ly/2PBMzoW ►Subscribe Now: https://bit.ly/2Parm4x ►Watch our special, full-length Oddbods episode, PARTY MONSTERS: https://bit.ly/2zBSGnv Oddbods Funny Playlists: ►Oddbods Food Fiascos: https://bit.ly/2oku9wN ►Love For Oddbods: https://bit.ly/2LwdwqK ►Oddbods Animal Attack: https://bit.ly/2BSt4FW ►Oddbods Everyday Shenanigans: https://bit.ly/2BStw76 --------------------------------------------------------------------------------- ►Oddbods Store - Get Mugs, T-Shirts, Pillows And More! https://shop.oddbods.com/ ► Visit Our Website Here: http://oddbods.com ►Visit Our Facebook Page: https://www.facebook.com/OddbodsOfficial/ ►Brought To You By One Animation: http://www.oneanimation.com About The Show: ODDBODS ------------------------------ Oddbods is an award-winning, CGI-animated comedy television series produced by the Singapore-based studio One Animation. The Show Oddbods takes a look at everyday life - through the eyes of seven distinct personalities - all bundled up in bright furry suits. With an appetite for love, laughter, destruction, and drama - prepare yourself for anything and everything. The Main Characters: Newt Sweet and adorable, Newt is the youngest of the Oddbods by a whopping 3 days! Jeff Obsessively compulsive and unashamedly meticulous, Jeff loves order and discipline in all that he does. Zee Zee refers to himself as easy going and care-free. Others refer him to him as a lazy disgusting slob. Pogo A prankster, Trouble-maker, An occasional pain-in-the-neck, Call him what you like, Pogo doesn’t care. Slick Coolness personified - Slick is the ultimate hipster. Standing still is not an option when you have rhythm in spades. Fuse Underneath that bright furry suit is a true alpha male, despite his short demeanor he possesses incredible strength! Bubbles Full of joy and happiness - Bubbles is the living embodiment of the phrase “ray of sunshine”. Oddbods is out with Food Fiasco 6! 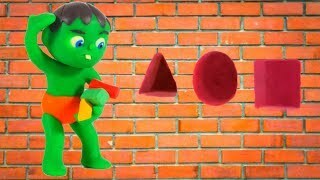 Watch to find out where Zee’s limitless food supply comes from... ►More Funny Oddbods Episodes For Kids: https://bit.ly/2PBMzoW ►Subscribe Now: https://bit.ly/2Parm4x Oddbods Funny Playlists: ►Oddbods Food Fiascos: https://bit.ly/2oku9wN ►Love For Oddbods: https://bit.ly/2LwdwqK ►Oddbods Animal Attack: https://bit.ly/2BSt4FW ►Oddbods Everyday Shenanigans: https://bit.ly/2BStw76 --------------------------------------------------------------------------------- ►Oddbods Store - Get Mugs, T-Shirts, Pillows And More! https://shop.oddbods.com/ ►Visit Our Website Here: http://oddbods.com ►Visit Our Facebook Page: https://www.facebook.com/OddbodsOfficial/ ►Brought To You By One Animation: http://www.oneanimation.com About The Show: ODDBODS ------------------------------ Oddbods is an award-winning, CGI-animated comedy television series produced by the Singapore-based studio One Animation. The Show Oddbods takes a look at everyday life - through the eyes of seven distinct personalities - all bundled up in bright furry suits. With an appetite for love, laughter, destruction, and drama - prepare yourself for anything and everything. The Main Characters: Newt Sweet and adorable, Newt is the youngest of the Oddbods by a whopping 3 days! Jeff Obsessively compulsive and unashamedly meticulous, Jeff loves order and discipline in all that he does. Zee Zee refers to himself as easy going and care-free. Others refer him to him as a lazy disgusting slob. Pogo A prankster, Trouble-maker, An occasional pain-in-the-neck, Call him what you like, Pogo doesn’t care. Slick Coolness personified - Slick is the ultimate hipster. Standing still is not an option when you have rhythm in spades. Fuse Underneath that bright furry suit is a true alpha male, despite his short demeanor he possesses incredible strength! Bubbles Full of joy and happiness - Bubbles is the living embodiment of the phrase “ray of sunshine”.